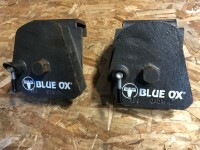 Two “Chain Grabbers” for use with a Blue Ox Weight Distribution Hitch. 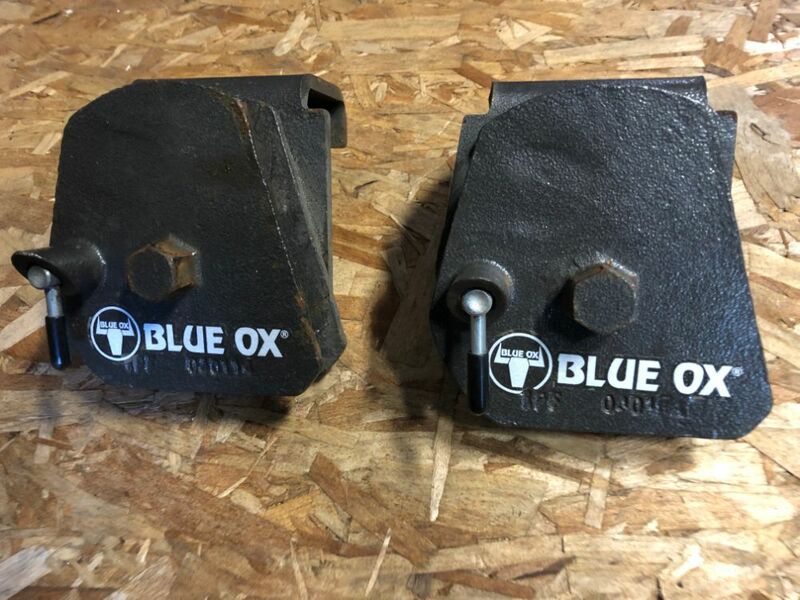 These are the units that clamp onto the A-frame in back of the propane bottles, to which are attached the chains from the weight distribution bars. These are rotated approx. half a turn, via a socket on a breaker bar (not included), to provide proper weight distribution. What is for sale are the two items shown in the photo. Price is $75 plus shipping from 98072.